As some of you may or may not know, Kortney Sink and I(Garland Jones) had a son yesterday April 23, 2018 @ 8:47am in Cincinnati, Ohio (Cincinnati Children's Hospital). 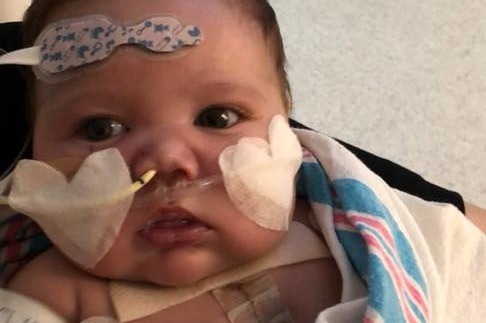 On December 15, 2017 (19 weeks pregnant) he was diagnosed with a form of hyperplastic left heart syndrome. Our doctor at the time asked us if we had considered abortion. Jerk!!! We told him as long as he's fighting we're fighting and when he can't fight we'll fight for him. He referred us to Dayton Childrens Hospital where they told us that the condition Sammy had was in less than 1% of babies born today. They had rarely seen this condition at Dayton Childrens and they were not equipped to treat his heart condition so they referred us to Cincinnati Children's Hopsital. Upon arriving at Cincinnati Childrens we realized we were in a totally different environment. They were so helpful and caring. Most importantly they gave us hope where Dayton Children's gave us doom and gloom to no fault of their own. They were simiply uniformed. They were completely honest with us though and said that he may not make it to term. (Which was true but he did praise God and his grace!!) We were not fazed by this because I know my God. We knew if he was of us that he was a fighter. If there were even the slimest of chances he would live we were gonna keep swinging for the fence and run out every ground ball as my father and grandfather used to say. The doctors explained to us yesterday that they had only done 4 procedures like this at this hospital at all and only 30 similiar procedures in total. So they couldn't give a REAL success/fail ratio but all 4 procedures had been successful. Unfortunately and as you may imagine, this whole process has a put an immense strain on us emotionally as well as financially. Rather you know me personally or not, know that I am a very proud man and come from a very proud family as does Kortney but there is nothing we wouldn't do for our kids or our family for that matter. Kortney is unable to work at all given she just had a c section and we have a 2 yr old (Sophia Grace) at home to take care of not to mention a newborn with a heart condition. I am self employed and although I generally make an above average income, between the time I've needed to take off now and in the future, the trips to Cincinnati from Dayton (which is over an hour away), eating daily at the hospital, future hospital bills/medications, and simple expenses at home, I fear I'm just not gonna be able to keep up. I understand fully now how some families are torn apart or some aren't able to get the medical attention/medications they need. I obviously don't want that for my family. I'd love to go to work comfortably to support my family but my family needs me and I need to be there for my family at least for a lil while until we get Sammy somewhat healthy enough to come home. Our Superman Sammy endured an all day 10 hour open heart surgery today @ 1 day old thanks to a fantastic staff. I'm so very thankful. Proud and humble beyond words but I want him to have a home to come home to. Like I mentioned before, I'm a proud proud man but I'm not too proud to ask for help to sustain my family until Sammy is stable enough at home and the Lord makes a way for me to sustain them again on my own. I'm not sure how we will manage the other 2 surgeries he has to undergo between now and 3-5 yrs of age but right now we just need to make it to next week or next month. Taking each day, each week, each month, each year 1 at a time. Appreciating every day we are fortunate to enjoy our togetherness as a family where ever that might be. 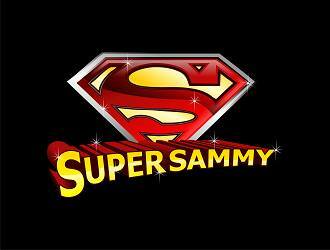 Thank you if advance for even your consideration for if nothing else donate a prayer for Superman Sammy. One way or another the Lord will make a way. We stand on faith and trust in his promise. Well Sammy has been at Cincinnati Childrens since birth now for 130 days and we are prepping finally for him to come home possibly next week. To God be the glory!!! There are still many challenges ahead but without your help we could not have made it. Still struggling financially but God has been so good to us. Thank you again for your help. God bless all of you!! Sammy had a pretty rough week. They had him back on the pace maker for the majority of the week. Still having some irregular heart beat issues. Docs are trying new meds and trying to get him off of old ones. Had to wait all week to see him because of work and the day I finally go Sophia contracted Hand Foot and Mouth Disease which is highly contagious so the Doctor recommended that we not be around Sammy at all so I'll have to endure 2 weeks without seeing my superman. We are a lil down as a result but we are determined to overcome all odds as Sammy continues to also. Maybe I'll actually get some work done this week. Wanna take the time to thank all of you again for you love, support, and prayers. So desperately needed and greatly appreciated. God bless you all. Superman Sammy Update: Well Sammy has been slowly progressing steadily. He's had a few hiccups in the last week concerning feeding mainly but he's up to 50 ml's every 3 hours. Tomorrow our lil man will be 1 month old and he hasn't seen anything but the Cardiac ICU. Yesterday during rounds the doctor said they may potentially move him to a regular room out of ICU tomorrow and if things continued to go smoothly that he could possibly, maybe, get to come home inside of a couple weeks. So we are praying that he continues to get stronger. God has been so good and we have been so blessed to have such amazing and supportive family/friends. I've told Sammy about all the people that are praying for him so thank you all for your continued thoughts and prayers. God bless and keep you. I forgot to ad. Sammy was on Channel 2 news!! !